The 2014 Writivism Festival provides a platform for the enjoyment and production of high quality African arts and culture. Held every year in Kampala, Uganda, the Festival attracts all sectors of the population, children, teenagers, young adults, adults and the elderly; there is something for everyone at the five-day event. From indigenous foods, to literature, master classes, drama, poetry, comedy, book conversations, fashion, crafts, panel discussions, language exchange, heritage tours, a schedule of a variety of activities will engage everyone whether an artist or just a festival-goer. Participating writers include NoViolet Bulawayo, Zukiswa Wanner, Nii Ayikwei Parkes, Jennifer Nansubuga Makumbi, Ellen Banda-Aaku and Abubakar Adam Ibrahim. The highlight of the Festival is the Writivism Awards evening, where winners of the Writivism Short Story Prize are announced and guests are treated to an after-party music extravaganza. 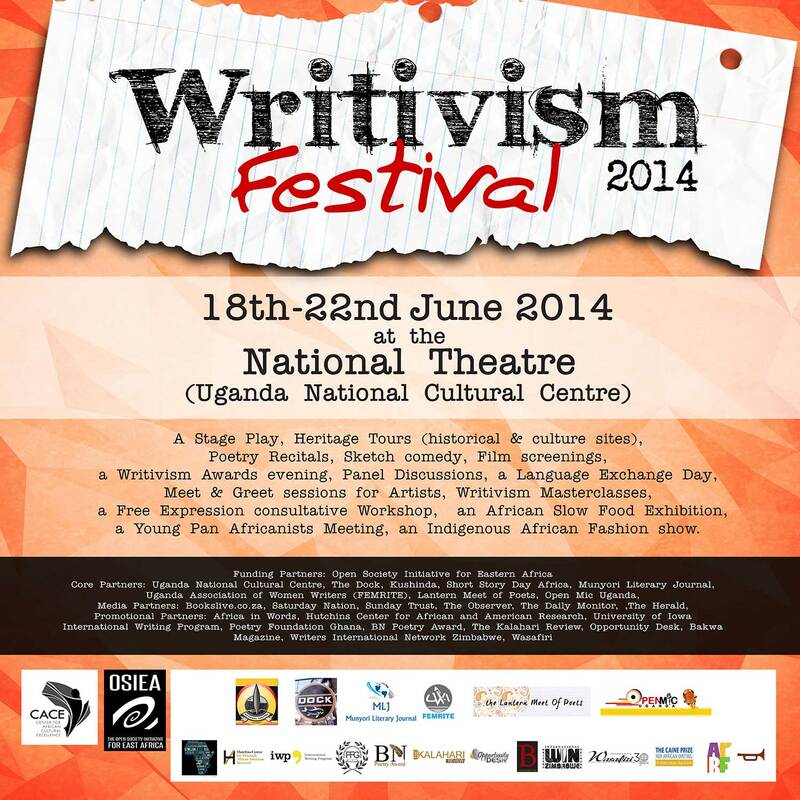 Please visit Writivism’s website http://writivism.com and blog http://writivism.wordpress.com for more information.